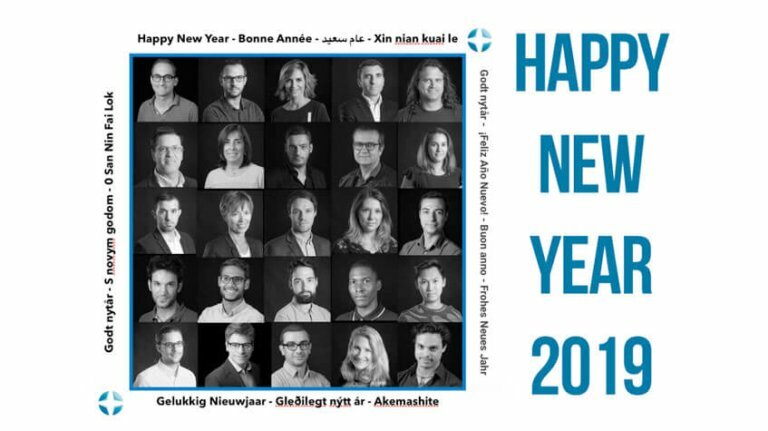 HomeNewsThe entire Pole Star team wishes you an excellent 2019! 2019 has just begun and we are delighted to start off the year with you. We would like to take this opportunity to briefly look back at 2018. Thanks to our partners, integrators, distributers, clients and users, our solutions are now deployed in 35 countries. Over 35 million square meters (380 million square feet) have been covered generating more than 200 000 connections daily on our NAO Cloud platform. NAO Track, dedicated in particular to the Internet of Things, was commercially launched in 2018. All connected mobile objects need to be accurately located to perform optimally.NAO Track is an efficient, competitive solution to meet this challenge. In 2018 revenues increased by more than 30%. Our objective for 2019 is to go even further. We are going to expand our international footprint to be close to our customers and partners. We are committed to delivering the best solutions to answer your needs. Bluetooth World Conference in California or IoT World, addressing issues such as IoT, Smart building and the Smart City. In 2018, we initiated GDPR and Cyber Security compliance audits. Today we are well on the way to achieving ISO 27002 conformity. Our goal is to provide our customers and users with the highest level of security and peace of mind. In 2018, we expanded our premises in Toulouse to welcome new members to our team. In 2019, we are going to strengthen our presence and multiply our actions wherever our solutions can have a positive impact for our customers. We will also continue to make sustainable development a key priority. In 2019, in line with our ambitions and the market outlook, we plan to create ten positions in France and the United States. We would like to warmly thank our network of partners and customers who have all contributed to making 2018 such a great year. And let’s make 2019 another fantastic year in which we accomplish many great projects together.